The W10 Shop, Portobello Green Arcade! 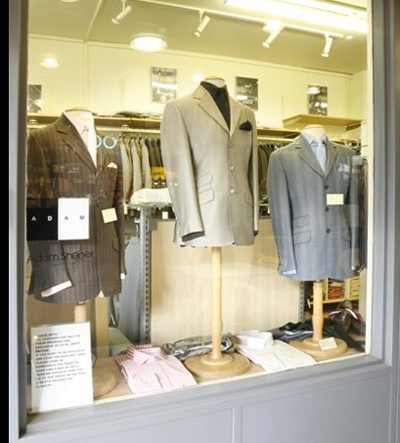 This shop offers a slice of our nation’s sartorial history, that classic English look of the early 1960s. But be under no illusions, this is not some kitsch retro costume shop. As for Adam Shener, the owner, he knows his onions for sure! He is a nice but straight talking kinda guy. He doesn’t mess about; he says what he means, and means what he says! Adam of London deals mainly in ready-to-wear Classic Menswear, (but can also offer a bespoke service by pre-arranged appointment only). 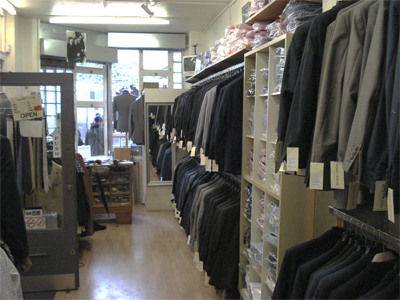 The ready-to-wear offers superb value for money, and the quality of cut, choice of cloth, detail, finish and service have cemented Adam of Londons’ reputation as one of the leading outlets of it’s kind, globally! To visit the shop and indeed make a full day out in the world famous Portobello Market area, follow the link to our contact page, where you can find a map and route finders for all modes of transport to find the shop. We look forward to meeting you!